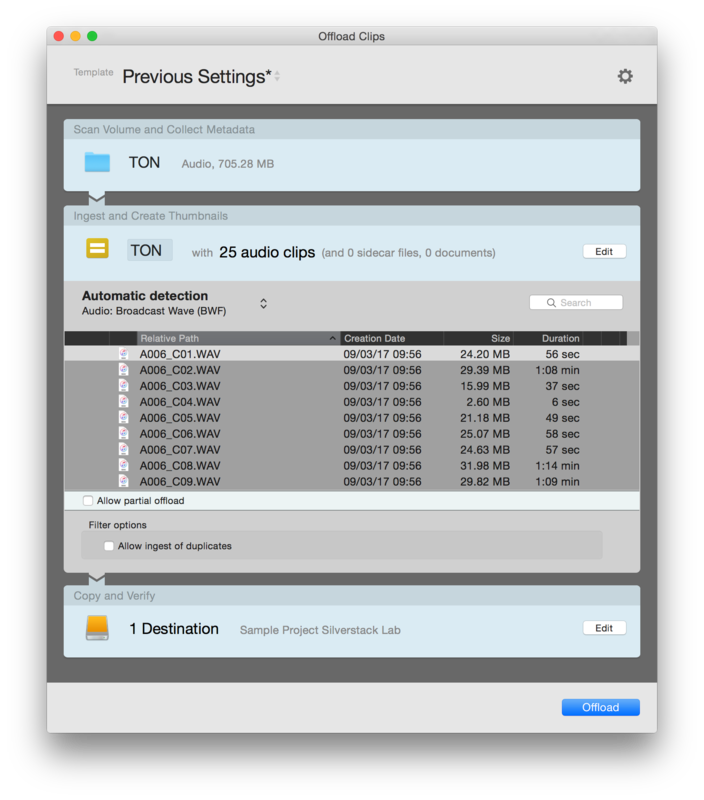 Silverstack offers advanced support for separately recorded audio files in the Broadcast Wave format (BWF, .wav). To ingest audio files into Silverstack click the “Offload” button in the upper left corner of the UI and choose the card or folder with the audio files to be offloaded. Audio files can be backed up within the audio wizard just as any other file type. Learn more about it in the article Parallel Offloading. 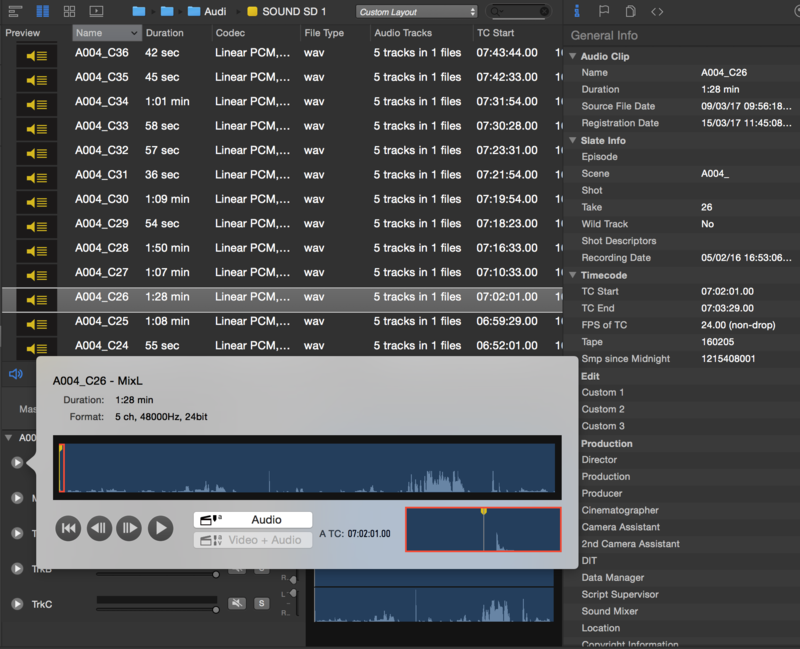 Silverstack will automatically detect .wav files that belong to the same clip and merges them together to an audio clip containing several audio tracks. 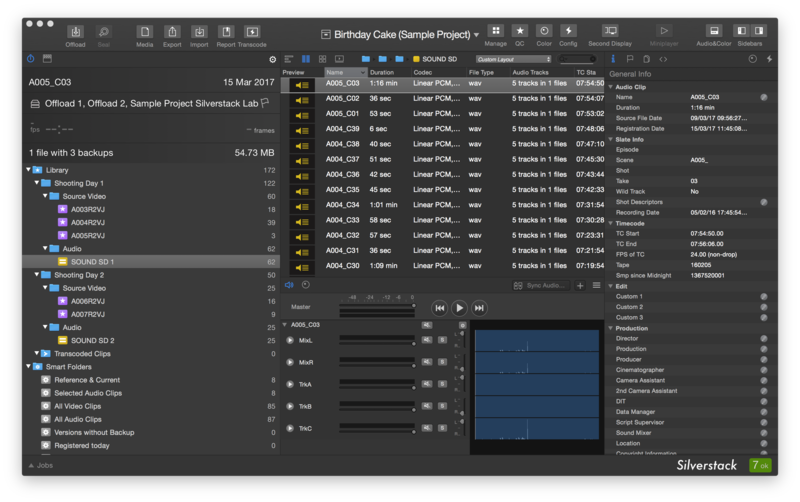 By opening the audio panel with the “Audio&Color” button in the toolbar all the audio tracks including waveform will be visible for the selected audio clip. You can play audio clips back by clicking the play button.